Sometimes I think of Big Data as Big Brother: Consumer intelligence being captured in massive databases and crunched at high-speed by algorithms that track everything from the websites we visit to what size café lattes we order at 8:45 in the morning when the weather is cloudy and the temperature reaches the freezing mark—on Tuesdays. So if Big Data is making you big scared, I don’t blame you. At the rate by which data is being collected, no one should be surprised that it will transform manufacturing much the same way as Big Data is influencing how retail marketers are pushing their products on us. Retailers are learning our tastes and our purchasing trends, and the data they collect through various means makes them savvy marketers. Analyzing the data means they can produce more of what consumers like to buy, reduce surplus inventory, and improve margins. Big Data is now supposed to make manufacturing “smarter” (that’s if you consider non-human intervention as smarter). 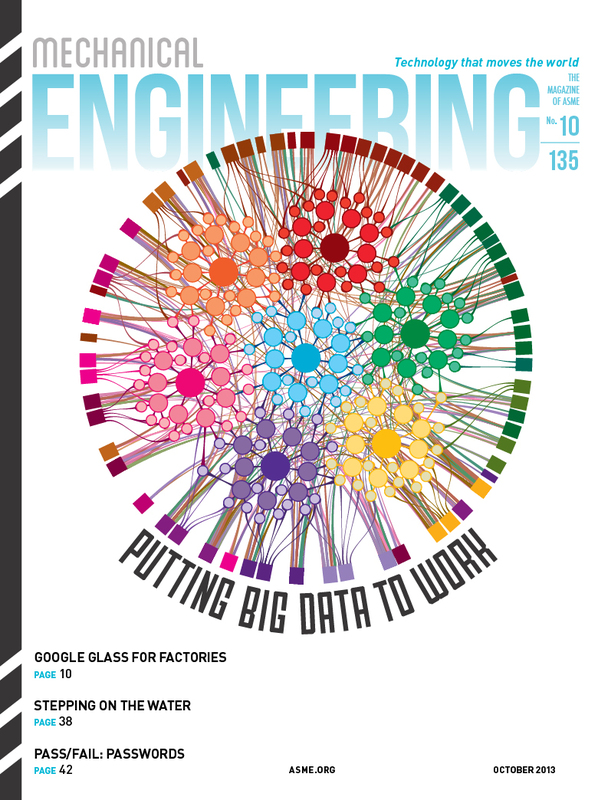 Ahmed Noor, the author of this month’s cover story, “Putting Big Data to Work,” is someone who has studied the changing landscape extensively. He believes smart manufacturing will fundamentally change how products are designed, how they’re mass-produced, and how they are shipped and sold. In large part, this has to do with automated data analytics technologies that extract value and knowledge from large and diverse data streams, Noor says. Using the automobile as an example, Noor says data such as an individual’s driving habits and the vehicle’s wear and tear on parts is collected and sent to communication modules that aggregate the data in order to gain customer insights. This information is later used for product development and enhancements. That’s not all. Smart manufacturing will evolve into a new archetype focusing on cognitive manufacturing. However, cognitive thinkers like you and me need not apply. Manufacturing systems will operate the manufacturing process autonomously, which will result in fewer workers on the factory floor. The good news is that engineers will not be bystanders in the process. After all, robots need supervisors too. Today, managers supervise processes and people. But as automation reduces the workforce, engineers will be ever more responsible for increased expectations on productivity and performance. In the end, as things get more complex, smart manufacturing will present different and greater challenges to engineers than those from the past. It will necessitate an expansion of the skillset. Besides overseeing highly technical processes, more creative data will require engineers to have stronger analytical and problem-solving skills to interpret the numbers. Big Data will also require the engineer to expand the soft skills necessary to successfully navigate the vagaries of a smaller workforce and more demanding upper managers. So consider the new paradigm as engineer-turned-accountant-turned-human resources manager. Fortunately, you won’t have to be a barista as well, since autonomous coffee-dispensing systems in the office will whip up your latte in no time, prepared just the way you like it, simply by recognizing your retina.